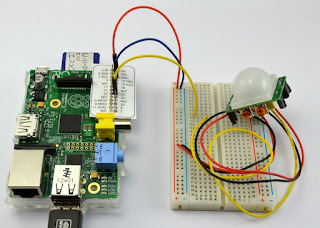 I thought I would share this little helper I have made to simplify using the Pi with jumper wires. 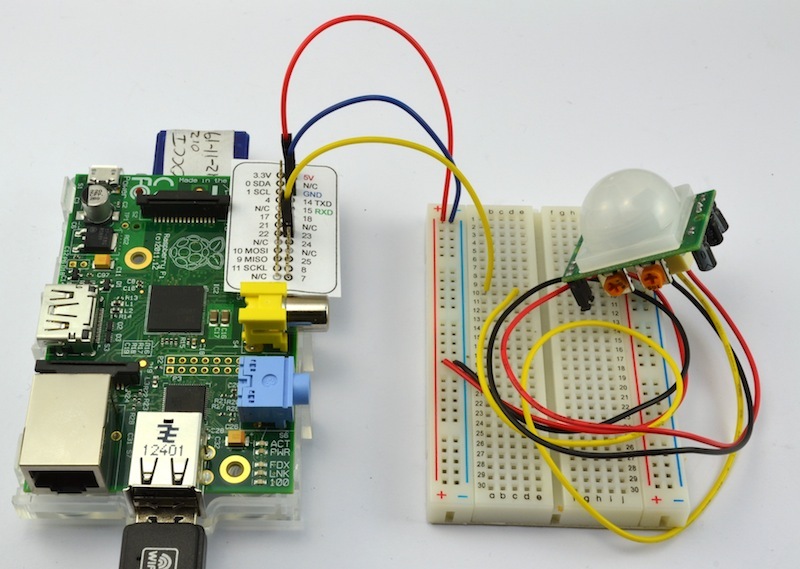 If you are using your Raspberry Pi with Breadboard, and you have lots of connections to make, then the Pi Cobbler from Adafruit is pretty neat. However, sometimes you only need to make a couple of connections and the Cobbler is overkill and a few Male to Female jumper leads will do just fine. The drawback with using Male to Female jumpers direct onto the GPIO is that you then have to count down the pins trying to find the pin you need, because nothing is labelled. Matching a diagram of the pinout to the actual pins is not easy and mistakes can be made. Enter the Raspberry Leaf! Okay, so its just a bit of paper, with all the pin labels on. The image for this is at the end. Just save it, print it out, and cut around the border. It's saved at 300 dpi. To fit it onto the GPIO pins, I found it easiest to make the holes first by placing it over some breadboard and pushing a header pin through each hole in turn. 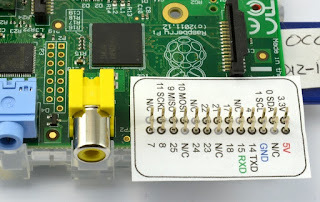 Pushing it all the way down to the bottom of the GPIO connector needs tome help from a plastic tool - or if you turn off your Pi and, use a small screwdriver. DON'T DO THIS WITH THE Pi POWERED UP!!! This has now become a permanent fixture on my prototyping Pi. All the numbers refer to the BCM GPIO number, so if you are using the RPi.GPIO library then be sure to set the mode to BCM using the function setmode. This is the template for the original R1 board saved at 300dpi - click it to open it in its own window. Also, here is a PDF version, that's hopefully easier to print the right size. This is the template for the current R2 boards. PDF Version. Note that this was updated 20 Feb, 2013, as I had pins 2, 3 and 27 wrongly labelled! If you would prefer to buy your Raspberry Leaves ready made, printed on durable glossy paper and ready cut and drilled, then you can buy them from my website (www.monkmakes.com). How do I easily print that at the right size? OK and if I use this on my rev1 Pi then I can actually destroy my it? 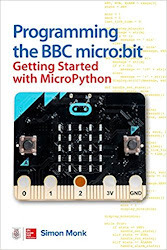 Wouldn't it be better to make clear which version of the Pi this is meant to be used for? This is a great idea. Thanks for doing it! I can't help noticing that you have the revision 1 pin names attached to a revision 2 board, though. Any chance of an alternate version with the proper revision 2 pins on it? Well, although its a rev 1, its safe for rev1 and rev 2 (I have both). If I made it for Rev2 and you put it on a Rev 1 board, some pins wouldn't have the expected supply. Tell you what, I'll make a Rev 2 tomorrow, then folk can take their pick! Thank you for the share. Please consider alternatively offering as PDF to make printing at such places as Kinkos pain free. if you love your Pi, but at least one for a youth in your extended family. That's love. I also tried printing but found getting the scaling right a bit fiddly so I dragged the R1 and R2 images into Inkscape and scaled the pitch to 2.54mm. Then I made up a UK A4 page with 8 each of the R1 and R2 identifiers on it. I have put PDF versions up too. Hopefully they will be a lot easier to print at the correct size. This is genius! Such a simple, but incredibly useful idea. Thanks so much for posting it (and going the extra mile for the rev1/rev2 and PDFs). Tip for those printing the PDF version - make sure your PDF viewer doesn't "scale to page" or "autorotate and fit" or anything like that when printing. Simon - I hope you don't mind. 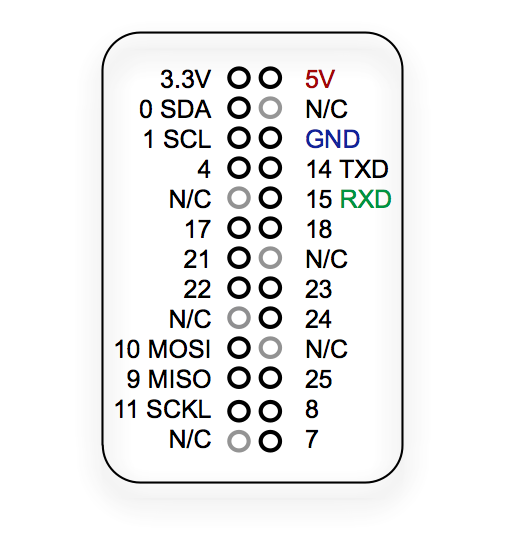 I re-did the layouts for the rev1 and rev2 boards in Inkscape. 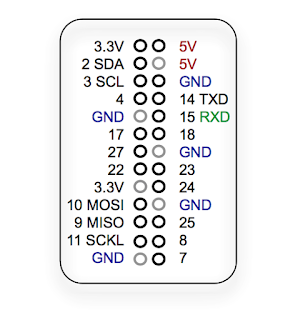 Added pin numbers as some guides talk about connecting specific pins rather than their GPIO designation as well CE0 and CE1 for pins 24 and 26. Looks like your Raspberry Leaf is really catching on. They actually have the same connections as the Revision2 pins. And as somebody's already mentioned, some of the pins (specifically, those you've labelled as "0", "1" and "21") have different numbers on the Revision2 boards. I have updated the image for the Rev 2 boards for the correct GPIO mapping. Thanks for all the feedback everyone. I've made a few different versions of these leafs, and IMHO the easiest way to make the holes is the old "sharp pencil and a lump of blu-tack" technique that I remember from school. I found with any other technique it was too easy to rip the paper, because the holes are so close together. Don't actually put it trough the holes but you just make sure it fits around them and make a small vertical cut on the bottom. I use Quick2Wire / WiringPi libraries, so I've edited your V1 pdf to have the Q2W/WiringPi pins on it - they're in mauve. Thank you! I am on a Windows 8 PC. I had a hard time getting the pins to print at the right scaling. The trick that finally worked was to save the image from the HTML to the desktop and then insert it into a Word document. Word prints it correctly. Thank you. Normally amazing ideas are like yours, simple. Thanks. That worked out great with photo paper. For those having size issue just use a caliper to measure it. I got it correct on the 4th print. This is a T-type breakout kit used for extending the GPIO interface on Raspberry Pi to breadboard.